The work of museums is to collect, guard, preserve and showcase valuable objects. Many lock museums show historical locks and keys in exhibitions which are interesting to view. Locks have been used for very many generations as a way to secure property. In this article we look at some locksmith museums in the UK that are great to visit. Situated in Willenhall, England the Locksmith’s House is a museum that celebrates the work of the ancient small family-run locksmith businesses which existed over 100 years ago. A visit to this museum will demonstrate how lock making businesses worked alongside family life. The Locksmith’s House is actually recreated using the furniture and possessions of the Hodson family of locksmiths, the last-known occupants of 54 New Road, Willenhall. If you are a lock enthusiast, you should definitely visit this amazing museum. The Museum of English Rural Life (MERL) is run by Reading University. It holds more than 25,000 objects which detail the history of England from 1750 to the modern day. It has collections of livestock portraits, rural life representations, tools used in farming, and other objects. The museum also has a specialist library. You can find some interesting lock collections at this place. 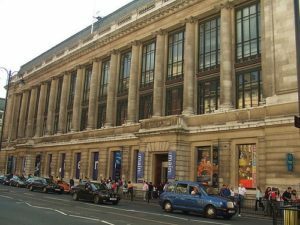 Located in South Kensington, London, the Science Museum is a major tourist attraction in London, attracting millions of visitors every year from different parts of the world. The museum was founded in 1857 and does not charge any admission fee, but some temporary exhibitions might incur a fee. Science Museum has a collection of more than 300,000 objects and is located near the Natural History Museum. There is a collection of ancient locks too in this museum. Named after Queen Victoria and Prince Albert, this is the largest decorative arts and design museum in the globe. It holds a permanent collection of more than 2.27 million items and was founded in 1852. The interesting museum is located on Cromwell Road in London and the collections are divided into 4 different departments. The Metalwork collection features about 31,000 items, and in there are ancient locks which were used many years ago. The British Museum is situated in Bloomsbury, London. It is a public institution that is committed to showcasing human history and art. It has a collection of about 8 million items and is considered globally as the first national public museum of its kind. The museum was established in 1753. Being a national museum, it charges no admission fee, apart from loan exhibitions. In this museum you can view some medieval locks. At CPPM we offer professional locksmith services to residents in Abington, Didcot, Oxford and the surrounding areas. Our technicians work with locks for any kind of door, window, cabinet or garage. All the locks we use conform to the set British Standards. We know that criminals may try to seek our services to break into a home, so we always check the IDs of all our clients prior to extending our services.